In a good way, South Florida continues to be the freak show of America. All kinds of people are here, except maybe people who seem to be like me, whatever that means. 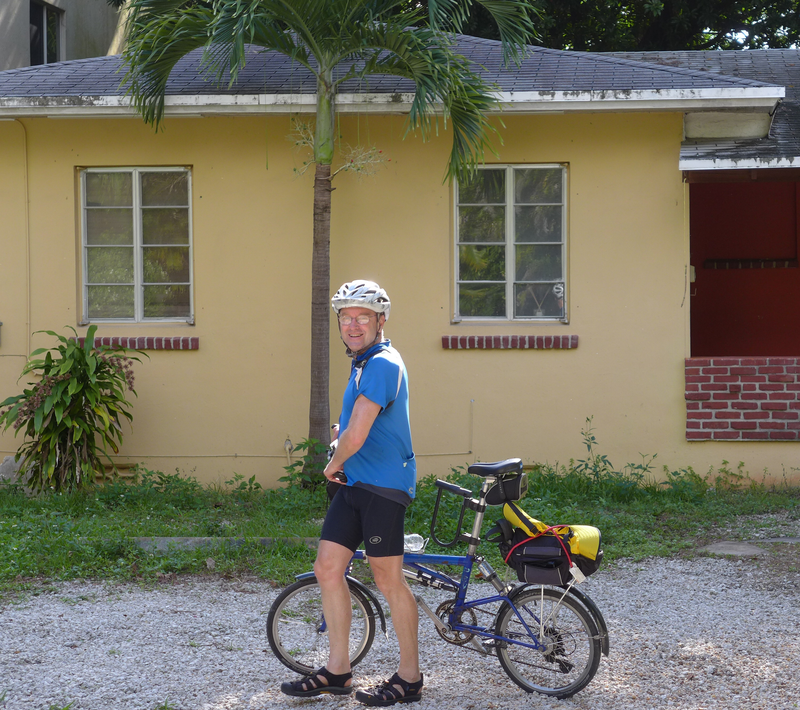 In our five days of cycling from Palm Beach to Key West, we saw all types. I arranged to meet my riding partner Lyman in Palm Beach; we would meet up with my son Jack in Miami Beach two days later. It took a lot of searching to find “affordable” hotel room in Palm Beach, but in hindsight, it was worth the hassle. Palm Beach is the home of Russian oligarchs, Rush Limbaugh, and Donald Trump. Dinner that first night was at the Palm Beach Grill. “Everybody” seemed to be eating there, if you define “everybody” as people who are rich, or those who want to look like they are rich, even though the restaurant was “informal” and “affordable.” Lots of sixty something guys in sportcoats, with thirty-forty something women on their arm; everyone jammed against the bar. Even calling week in advance for a Wednesday night, we could only book a table for eight forty-five. 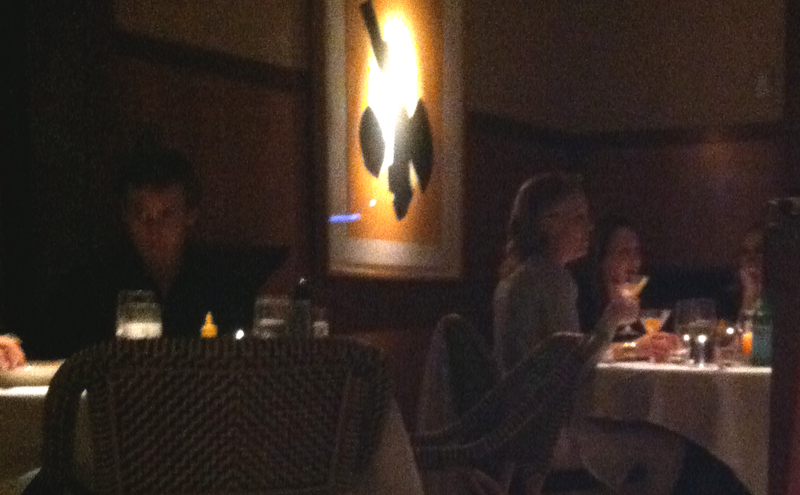 The table of women across from us giggled with each other over dinner and cocktails. 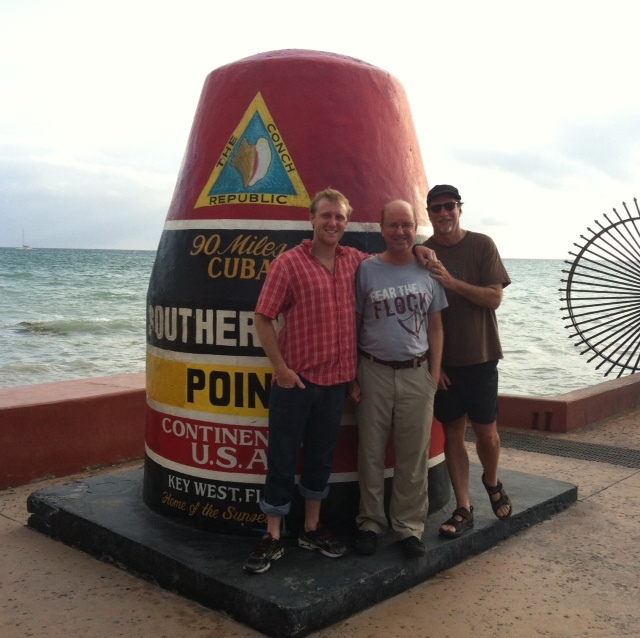 The next day, we had a pleasant cycle along the ocean the fifty miles from Palm Beach to Fort Lauderdale. There were palatial ocean front spreads, plus condos and vacation homes for people of all types. One wonders who these people are, and where they come from. Displays of wealth were everywhere. 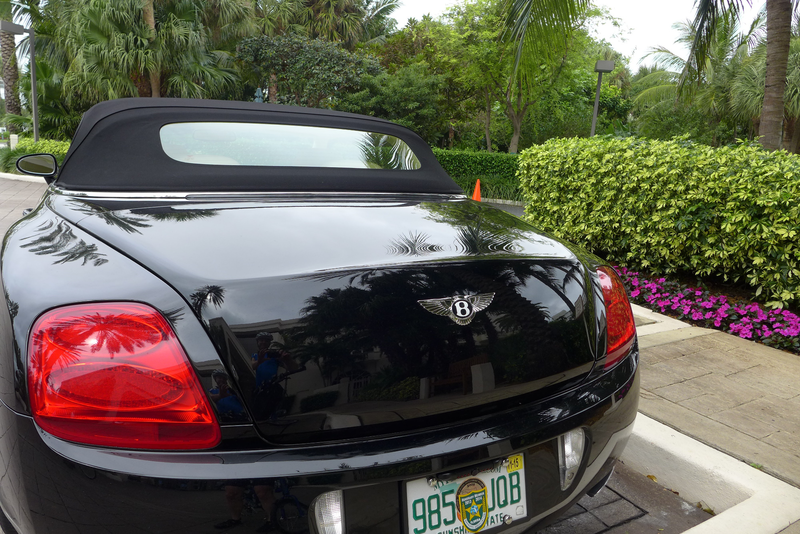 Having a Bentley around here really does not draw that much attention. And even when it rains a little, weather in South Florida in January is delightful. Highs in the seventies, with a comforting high humidity that feels like a warm embrace. 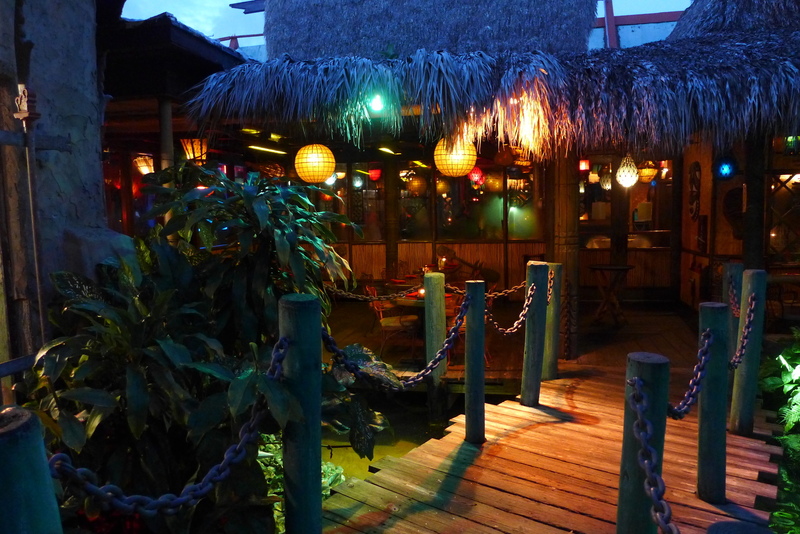 Lyman has friends back in Austin who are aficionados of what they call Tiki Culture; the culture of 1950’s-60’s Polynesian themed restaurants. These are places where you get rum drinks that have little umbrellas in them. There was even a Mad Men episode in one of these places. 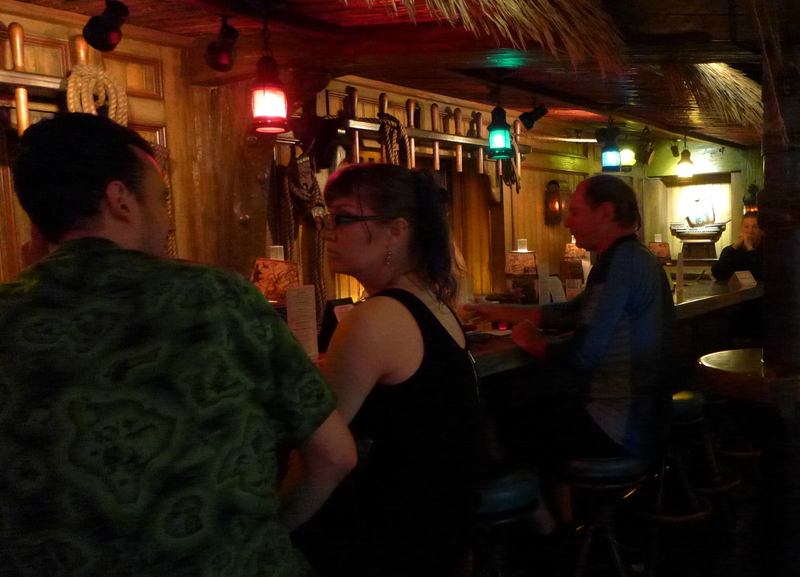 The friends insisted we visit the Mai Kai on Federal Highway in Fort Lauderdale, a large restaurant complex that opened in 1956. Décor is inspired by Captain Cook’s ship, and their version of Tahiti, if cocktails in the 1700’s had had ice cubes. It has a Polynesian floor show every night. We stopped by for a drink at five in the evening, before cycling on in the dark a few miles to our hotel downtown. Later that evening in downtown Fort Lauderdale, we split an excellent orecchiette con cime di rapa at an informal Italian restaurant , with a fetching Bulgarian waitress. Friday brought us further down the coast to South Beach, Miami Beach. Along the way, there were high rises Tower de Trump This, and Tower de Trump That, plus some interesting older buildings. We spent the night in South Beach. 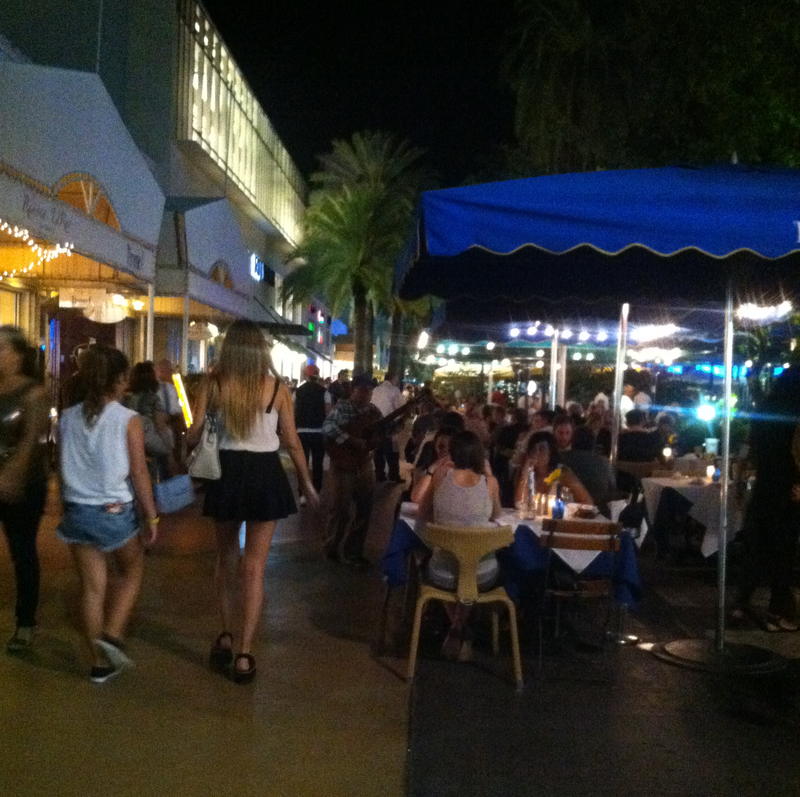 The paseo along Lincoln Road is a great urban space, almost European feeling. Walking through the warm night, Spanish was much more common than English. When Tootie and I lived in Miami in 1983, this area had been a slum. Jack had flown into Miami that evening, and Saturday we cycled through Miami Beach to downtown Miami, then Coconut Grove, all the way down to Florida City, at the southern end of the metro Miami area. South of downtown Miami, we stopped by the rental duplex in Coconut Grove where Tootie and I had lived in 1983. Thirty miles past Coconut Grove, Homestead / Florida City is home to many agricultural workers, and appears almost Third World in its poverty. Alongside a Walmart, we waited for a bus to take us the thirty-five miles across the Everglades to Key Largo. Jack really wanted to cycle, but we talked him out of it, as that stretch looks to be a very dangerous bike ride. 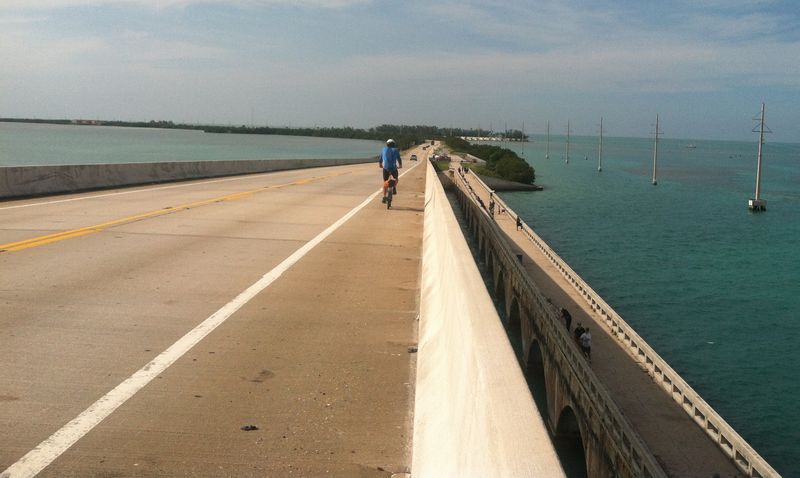 The state of Florida has done a great job of putting bike lanes, or a bike path, on virtually all the hundred miles of Overseas Highway from Key Largo to Key West. 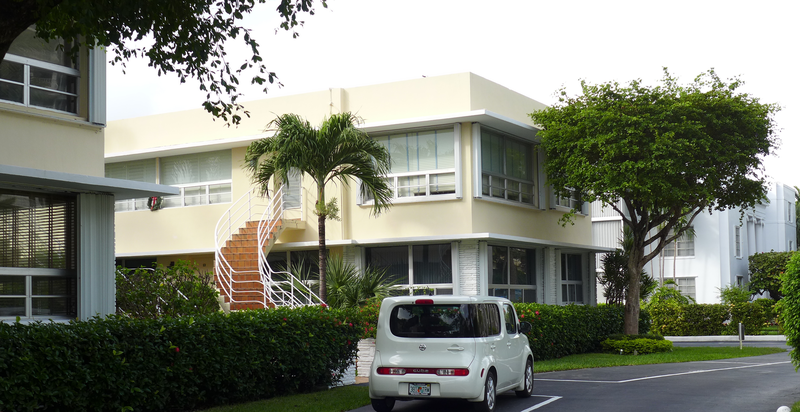 We split the Keys ride into two days, staying in Marathon Key on Sunday night, at the superbly intact 1940’s Blue Waters Motel. So few motels now have little carports like this. Of course, we did not have a car! Key West, as always, was beautiful. What a wonderfully sweet time you had with you son. I love the photos and really admire you for doing these trips and having your children and friends along.